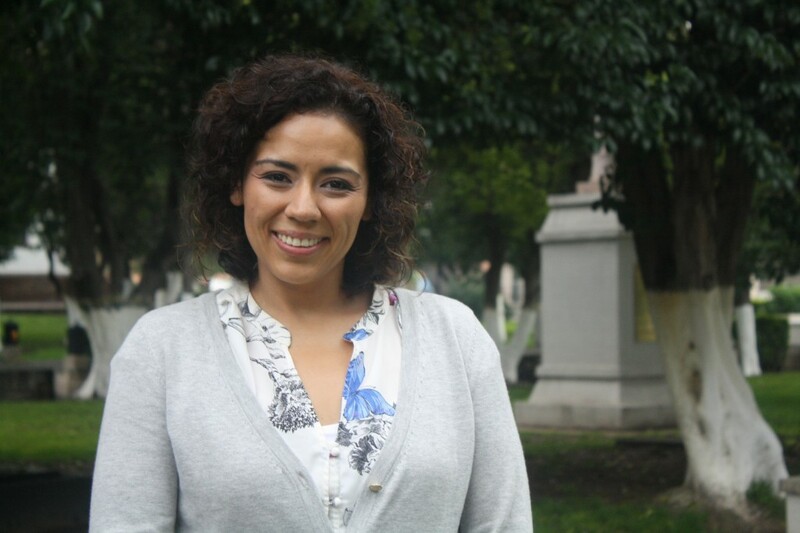 Dr. Rosa M. Rodríguez-Jasso is a Professor in the School of Chemistry at the Autonomous University of Coahuila since 2014 and leader of Biorefinery Group. • Research Stay in the Department of Chemistry at the University of North Texas, USA, 2001. • Chemical Engineering, Autonomous University of Coahuila. Mexico, 2002. • Research Stay in the Department of Food Science and Technology at the University of Georgia, USA, 2005. • M.Sc. in Food Science and Technology at Autonomous University of Coahuila. Mexico, 2006. • Research Stay at the University of Vigo, Spain, 2011. • Ph.D. in Chemical and Biological Engineering, University of Minho, Portugal, 2012 (Centre of Biological Engineering). • Editor of AQM Acta Química Mexicana, 2013 (www.actaquimicamexicana.uadec.mx). • Postdoctoral Researcher, School of Chemistry at Autonomous University of Coahuila. Mexico, 2013. • Research Stay in IMEP- IRD-Biotrans Facultés des Sciences et Techniques St Jérôme, Marseille, France, 2013. • Member of the National System of Researchers (SNI- Conacyt), level I, 2014. • Research Stay in Jacobs Univeristy, Bremen, Germany, 2014. • Study of biorefinery applications of bioactive compounds from macroalgae biomass using green chemistry technologies. • Solid-state fermentation and bioreactor design. • 2015. Héctor A. Ruiz, Rosa M. Rodríguez-Jasso, Mario Aguedo, Zsófia Kádár. Hydrothermal pretreatments of macroalgal biomass for biorefineries. Chapter Book in Algal Biorefineries vol. 2. Springer International Publishing, Switzerland. 467-491. • 2014. Rosa M. Rodríguez-Jasso, S.I. Mussatto, Lorenzo Pastrana, Cristóbal N. Aguilar, Jose A. Teixeira. Chemical composition and antioxidant activity of sulphated polysaccharides extracted from Fucus vesiculosus using different hydrothermal processes. Chemical Papers. 68, 203-209. • 2013. Rosa M. Rodríguez Jasso, Solange Mussatto, Leonardo Sepúlveda, Ana Torrado Agrasar, Lorenzo Pastrana, Cristóbal N. Aguilar, José Teixeira. Fungal fucoidanase production by solid-state fermentation in a rotating drum bioreactor using algal biomass as substrate. Food and Bioproducts Processing. 91, 587–594. • 2013. Rosa M. Rodríguez-Jasso, S.I. Mussatto, Lorenzo Pastrana, Cristóbal N. Aguilar, Jose A. Teixeira. Extraction of sulfated polysaccharides by autohydrolysis of brown seaweed Fucus vesiculosus. Journal of Applied Phycology. 25, 31-39. • 2013. Héctor A. Ruiz, Rosa M. Rodríguez-Jasso, Bruno D. Fernandes, António A. Vicente, José A. Teixeira. Hydrothermal processing, as an alternative for upgrading agriculture residues and marine biomass according to the biorefinery concept: a review. Renewable and Sustainable Energy Reviews. 2, 35-51. • 2013. Héctor A. Ruiz, Miguel A. Cerqueira, Hélder D. Silva, Rosa M. Rodríguez-Jasso, António A. Vicente, José A. Teixeira. Biorefinery valorization of autohydrolysis wheat straw hemicellulose to be applied in a polymer-blend film. Carbohydrate Polymers. 92, 2154-2162. • 2012. Héctor A. Ruiz, Rosa M. Rodríguez-Jasso, Raul Rodríguez, Juan C. Contreras- Esquivel, Cristóbal N. Aguilar. Pectinase production from lemon peel pomace as support and carbon source in solid-state fermentation column-tray bioreactor. Biochemical Engineering Journal. 65, 90-95. • 2012. Ercília M.S. Machado, Rosa M. Rodriguez-Jasso, José A. Teixeira, Solange I. Mussatto. Growth of fungal strains on coffee industry residues with removal of polyphenolic compounds. Biochemical Engineering Journal. 60. 87-90. • 2011. Rosa M. Rodríguez-Jasso, S.I. Mussatto, Lorenzo Pastrana, Cristóbal N. Aguilar, Jose A. Teixeira. Microwave-assisted extraction of sulfated polysaccharides (fucoidan) from brown seaweed. Carbohydrate Polymers. 86, 1137-1144. • 2010. Rosa M. Rodríguez-Jasso, S.I. Mussatto, Lorenzo Pastrana, Cristóbal N. Aguilar, Jose A. Teixeira. Fucoidan-degrading fungal strains: screening, morphometric evaluation, and influence of medium composition. Applied Biochemistry and Biotechnology. 162, 2177–2188. • 2010. Cristiana Gonçalves, Rosa Maria Rodriguez-Jasso, Nelma Gomes, José A. Teixeira, Isabel Belo. Adaptation of dinitrosalicylic acid method to microtiter plates. Analytical Methods. 2, 2046-2048.